The natural laws are not amenable to change. Our minds and our thoughts and our actions may distinguish us from inert rocks and lifeless blobs of matter, but they are just as impotent in effecting any change to the laws we perceive applying in the universe around us. And because we have minds and thoughts, questions arise. It is an empirical observation that minds are finite and a reasonable conjecture that omniscience – and therefore determinism – cannot exist. If we were omniscient we would have no questions. Without questions the human condition would be one of stasis. Without questions there would be no room for philosophy. If we had no questions the process of science would be meaningless. Ignorance by itself does not give rise to questions. Ignorance together with an awareness of being ignorant is necessary, but even that is not sufficient. Questions will not arise in an ignorant mind, aware of its own ignorance, unless there is also a desire to reduce the level of prevailing ignorance. A rational motivation for such a desire would be the belief that reducing ignorance would lead to an “improved” state of existence for the desirous mind. All of philosophy and all of language and mathematics and art and all of science then proceed from non-omniscient minds formulating questions. Ignorance it would seem is the primary driving force for human endeavor. Ignorance is infinite. Ignorance begets questions. Questions – through the application of philosophy and art and science – beget answers. Answers increase knowledge which is finite. But answers also beget further questions and so on, ad infinitum. 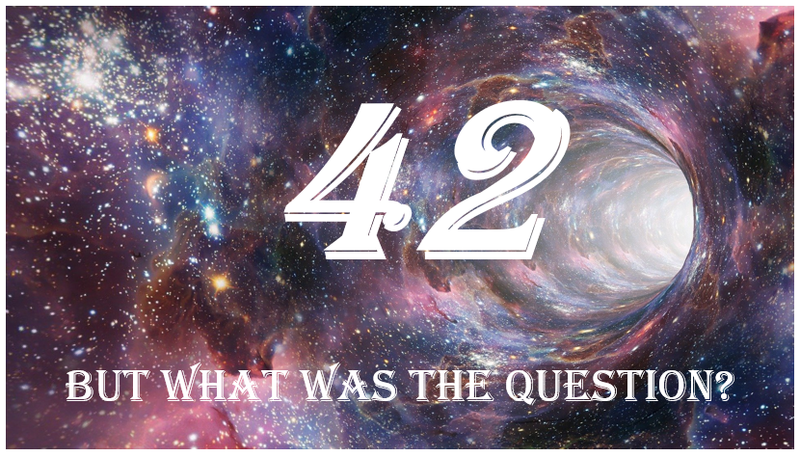 When we get to the correct formulation of the ultimate question about life, the universe and everything for which the answer is 42, we shall reach omniscience. Then, the stars will go out and the universe will cease to exist. This entry was posted on April 2, 2019 at 9:40 am and is filed under Philosophy. You can follow any responses to this entry through the RSS 2.0 feed. You can leave a response, or trackback from your own site.